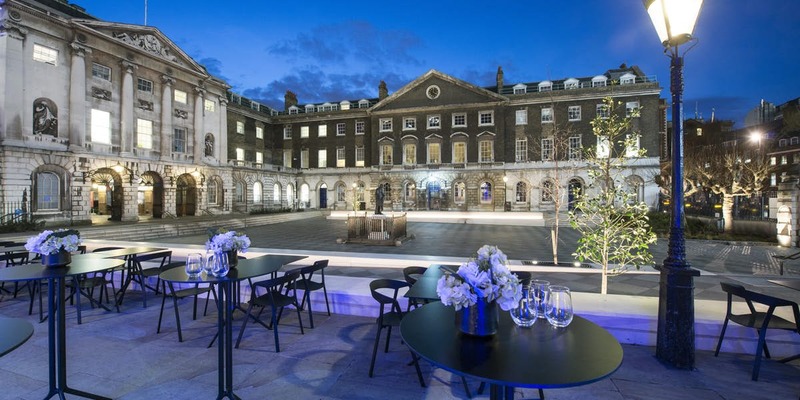 There are hundreds of great conference hotel venues in London which combine meeting facilities with excellent accommodation and event space, normally offered as a 24 venue hire and delegate package. Rates can vary widely based on the group size, time of year and London hotel location. We offer a free venue finding service to help you find that perfect hotel venue for your next London conference, incentive trip, or company celebration. With over 1000 London meeting events spaces listed, we have a fantastic team with unrivalled knowledge of the new openings and hottest large conference hotels in the city and heart of London. SAVE TIME – With great venue knowledge, we will create a fantastic proposal of the most suitable hotels offering both conference and event spaces, that will save you spending hours on the Internet or telephone. SAVE MONEY - Not only is our service free, but due to our great venue relationships we can also negotiate some great venue hire fees and packages for your next event at any hotel space in the city. For international conferences and meeting events coming to the capital, there is a great selection of hotels with prime location conference facilities both in the heart of London and near Heathrow Gatwick and City Airports. New luxury London Hotels, like Bankside Hotel, are opening all the time, so please search our database of over 500 conference hotel venues and select the “requiring accommodation” box to filter the search for hotels and residential conference centres only. When you are looking at booking any conference hotels in London, make sure that the venue hire fee offered includes all the meals and refreshments required, and that the event space and hotel conference rooms have state of the art projection, sound and video conferencing facilities. You also check if you need any drinks receptions and breakout rooms and make sure they’re included in the package. Most residential conferences and meeting events venues in London include a team building event or leisure programme. Popular add-ons include a London Taxi Treasure Hunt which is a great way for the delegates to see and explore the history and culture of London from their hotel in the city. Theatre nights can also be arranged, but getting a good number of tickets for top London shows requires a good advance booking period. For a change of scene from the conference venue, you might also consider taking the group away to either a private dinner at one of the many prime location restaurants or more exclusive dinner venues London has to offer. The best of these are those with great city views which include OXO2, The Gherkin and Aqua. The ongoing strength of the UK economy and the ongoing popularity of the UK after London 2012 has combined to make London’s hotels popular destinations for both UK and inbound International large conferences, so early booking is advised, especially for larger groups. You will see our current favourites below, but the best way to find the right large hotels for you is to either use our advanced venue search or call our team of venue experts on 0207 870 9305. They’ll send you a shortlist and arrange site visits to the most suitable luxury hotel conference and meeting spaces for your upcoming product launches or events taking place in London.